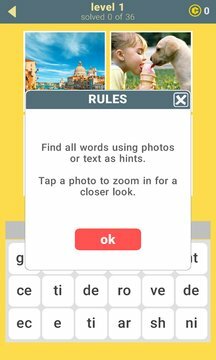 Unscramble word parts to find words that describe the photos. One word per photo. 30 words per level. 570 words in the game. Can you find all of them? Sometimes you have to think beyond the obvious. Good luck! 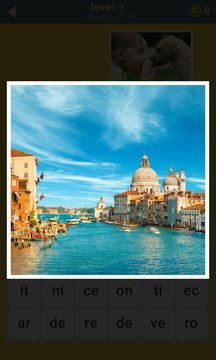 • can be played in English, French, German, Russian, Spanish, Portuguese and Italian. This is an addictive and challenging word puzzle. Enjoy!